Tegan Hullinger is a Licensed Clinical Professional Counselor offering individual and group therapy services at IntraSpectrum Counseling. Tegan is passionate about providing trauma-informed services to her clients to promote healing and holistic wellness. Her integrated therapy approach is influenced by existential and relational models that are strengths-based and person-centered. She believes that building an authentic and collaborative relationship in therapy results in a supportive environment that empowers clients to navigate through life’s challenges and attain personal goals. Tegan is experienced and excited about working with diverse populations coming to therapy with a wide variety of concerns. She is dedicated to working with survivors of trauma and being a witness for those needing a healing space. She also works well with folks navigating mood/anxiety concerns, overcoming experiences of stigma, processing grief and loss, managing distressing emotions, and seeking increased support within and around relationships. Tegan also has an interest in mindfulness techniques, theories influenced by Dialectical Behavioral Therapy, the impact of trauma and stress on the brain, and other psychoeducational practices that promote wellness. 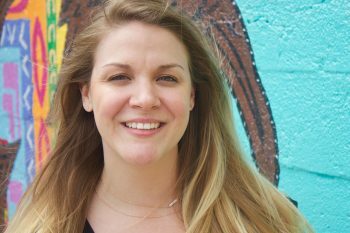 Before coming to IntraSpectrum, Tegan had the privilege to work in non-profit community mental health settings, both in Washington D.C. and Chicago. She began her career working with U.S. military veterans facing chronic homelessness, and became passionate about supporting those with complex trauma histories. Subsequently, she worked with survivors of sexual assault, childhood trauma, and chronic mental illness. An advocate for LGBTQ communities, she is interested in better understanding the complexities of gender, sexuality, language, and identity in today’s culture. Tegan is currently a fellow with the Chicago Center for Psychoanalysis. She graduated with a Master’s of Arts and Education degree in Clinical Mental Health Counseling from the George Washington University.